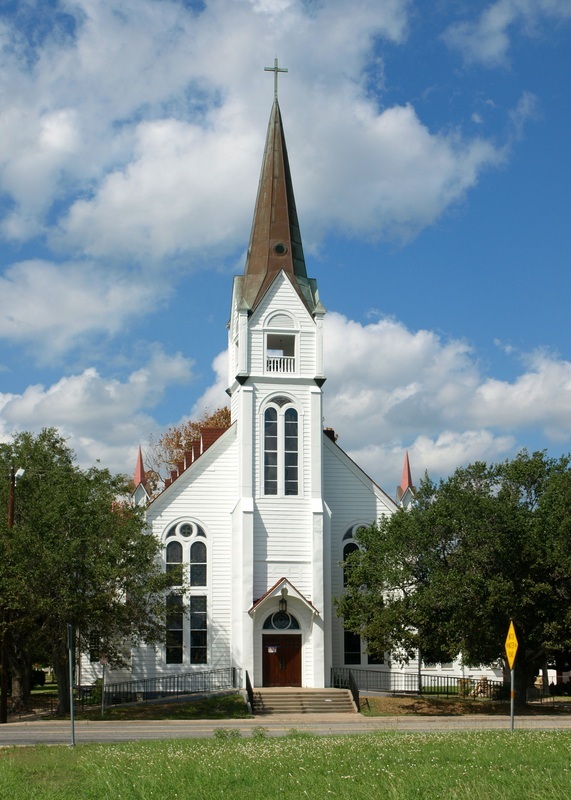 "In 1793 Nuestra Señora del Refugio Mission was founded at the juncture of the San Antonio and Guadalupe rivers. 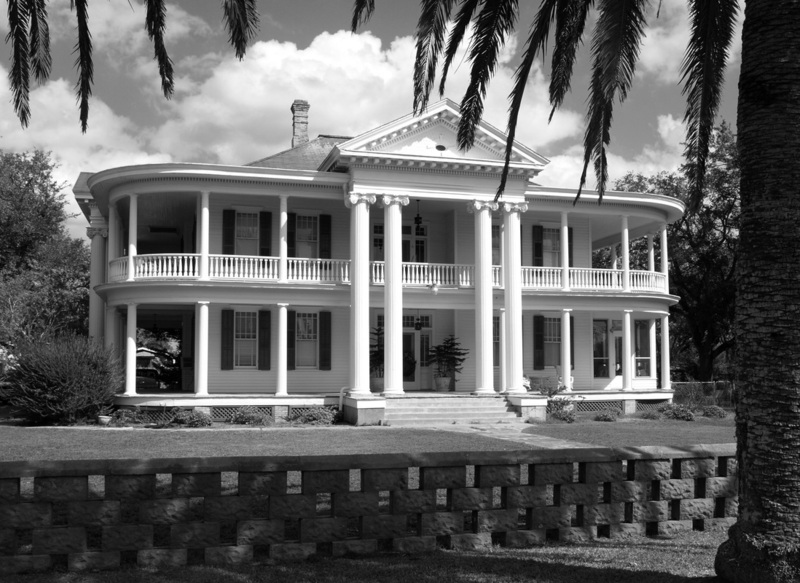 After a destructive Indian raid in 1794, however, the mission was moved to another site; and in 1795 the mission was moved to a location on the Mission River, at the site of the present town of Refugio. 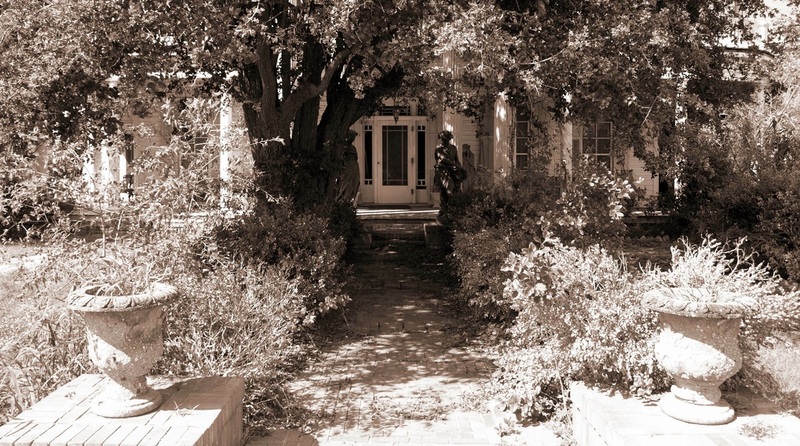 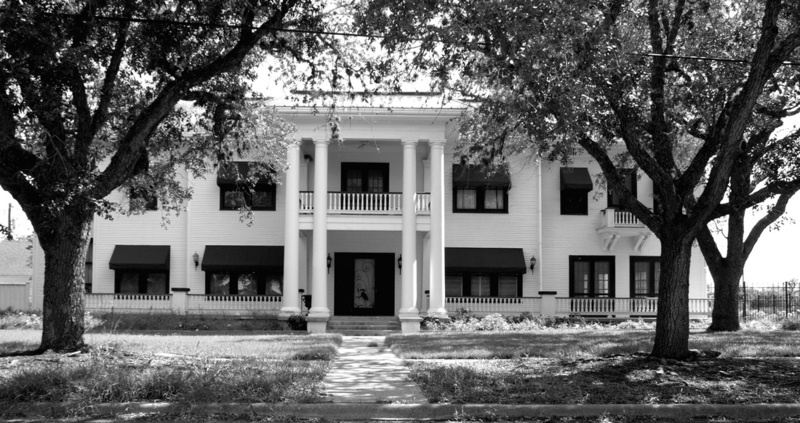 "The villa of Refugio, officially established in 1831 around the old Refugio mission, became the center of the Refugio Municipality in 1834.
counties of the Republic of Texas, with the town of Refugio as the county seat. 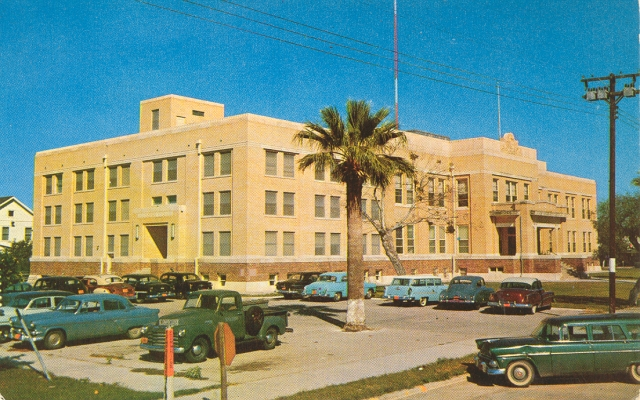 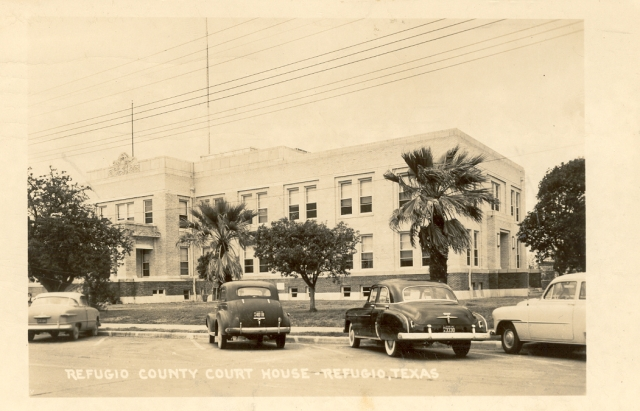 Far larger than the current county, the original Refugio County included territory that was later incorporated into new neighboring counties. 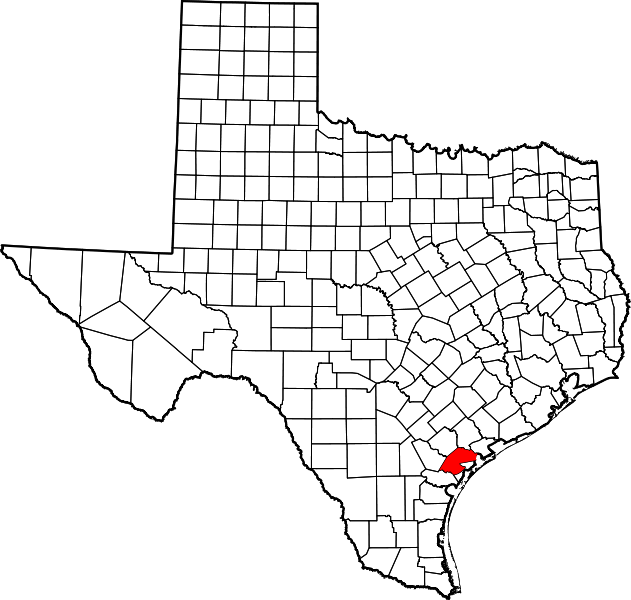 By the time of the Civil War the original Refugio County area had been reduced by Goliad County in 1841; Calhoun, San Patricio, and Victoria counties in 1846; and awards to Bee County in 1857 and to Nueces County in 1858. 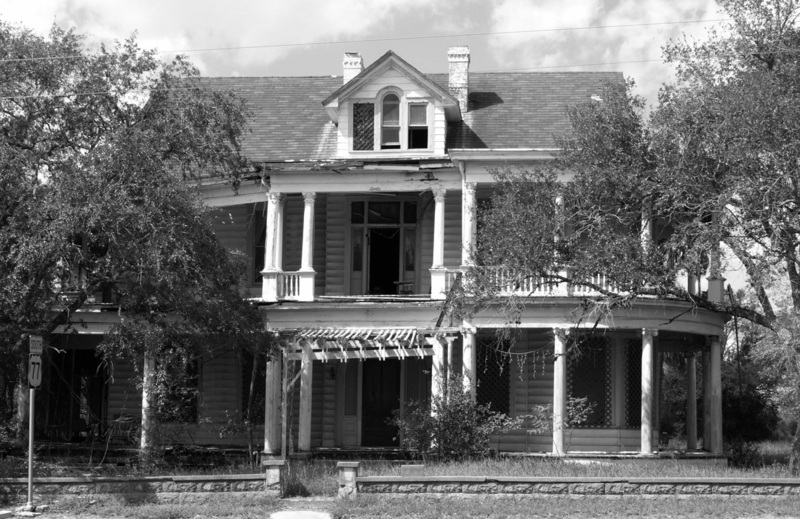 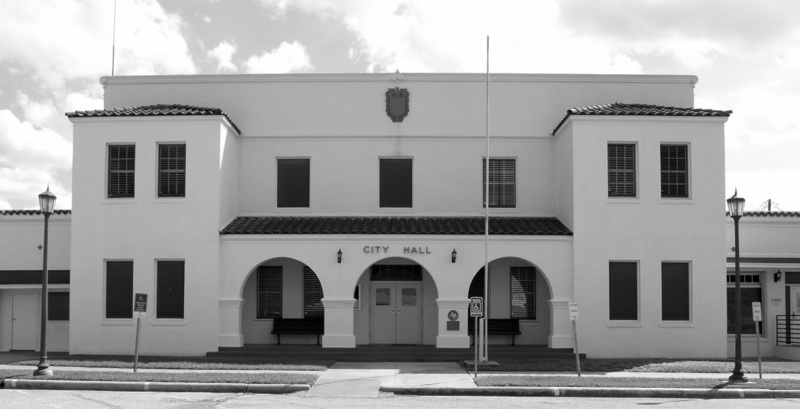 "Refugio County lost much of its coastland during the 1870s when the county was divided after a political dispute between coastal and inland residents [and Aransas County was created]." 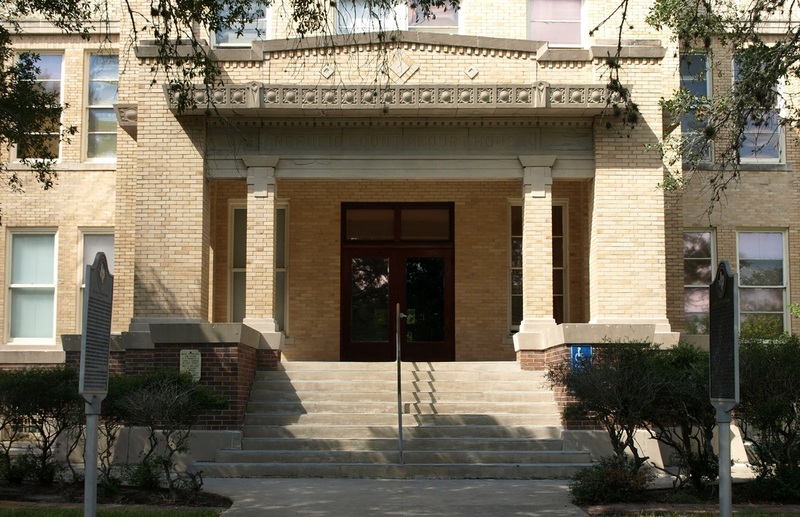 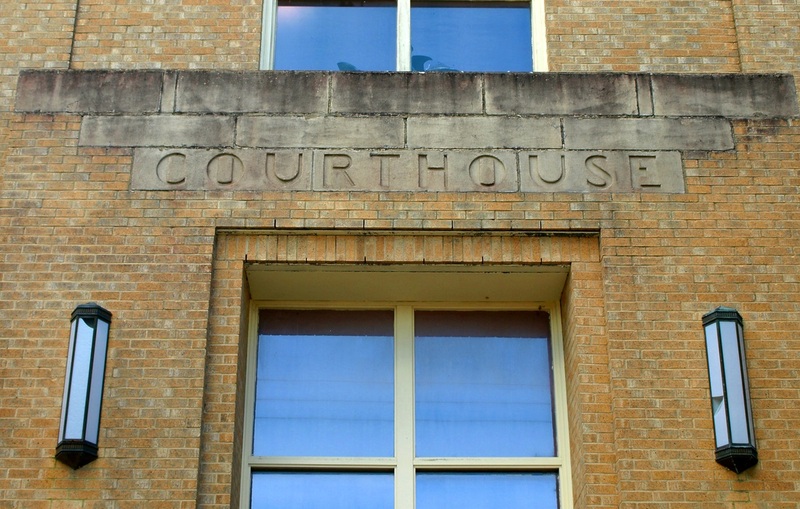 I visited Refugio County and photographed the courthouse in Refugio on Saturday, October 15, 2011. 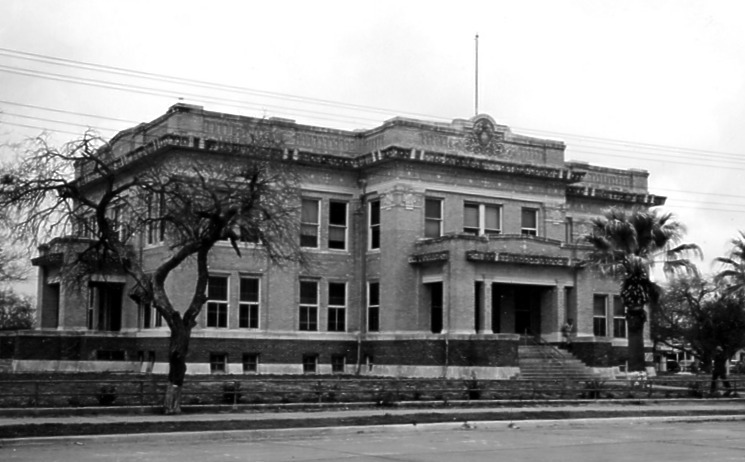 Directly east of, and on axis with the courthouse entrance is this 1937 memorial to Captain Amon King and his men who were captured and then executed during the Texas Revolution in 1836 by Mexican General Jose Urrea. 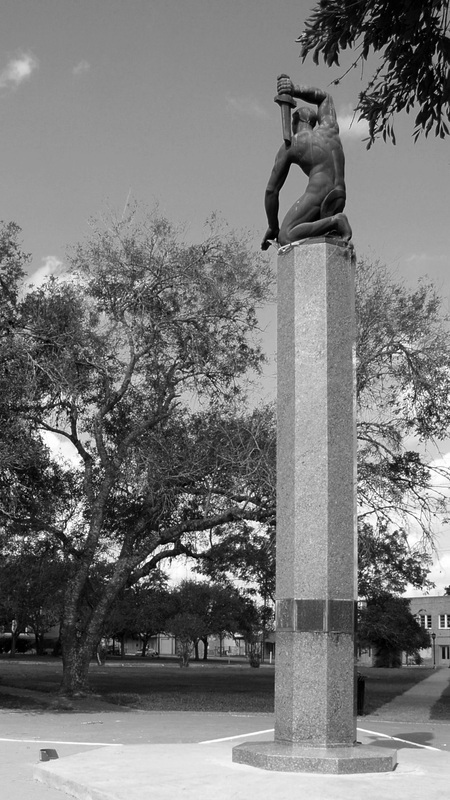 The statue is the work of a French artist, Roul Josset, who immigrated to the United States in 1933 and became a citizen in 1934. 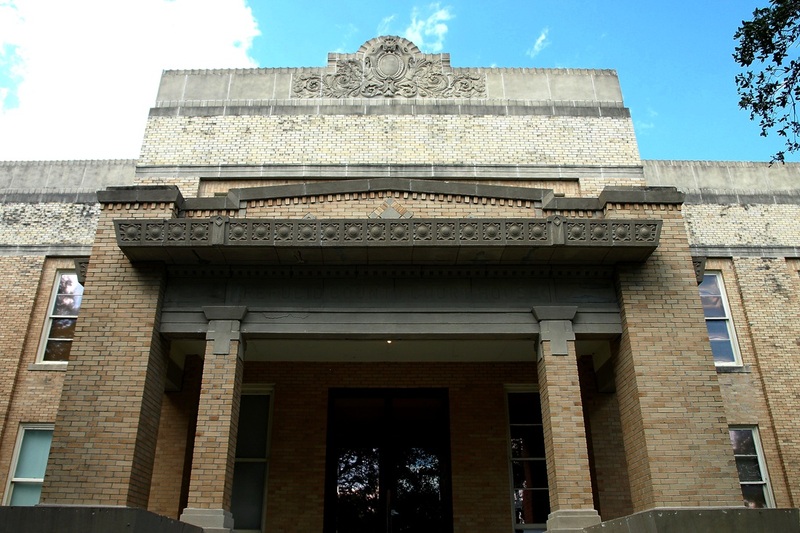 Josset came to Texas in 1936 and was commissioned to create a statue, the Spirit of the Centennial, at Fair Park in Dallas. 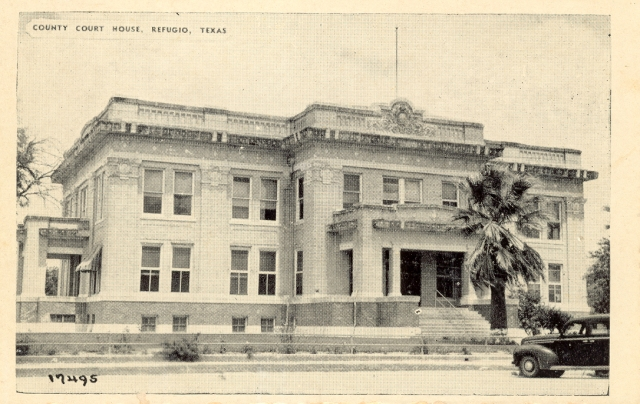 Following that commission he created the Refugio Memorial. 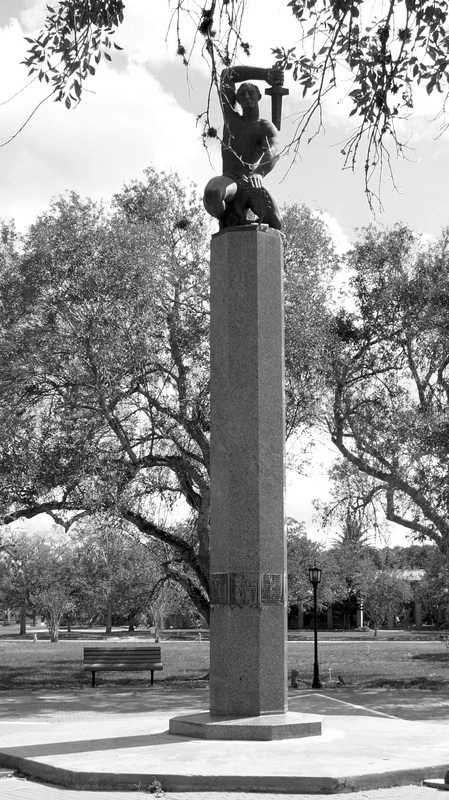 Because of the somewhat abstract nature of the column and statue, a marker, explaining the history and meaning of the work, was placed in the park in March 2011.